Atlanta has developed a reputation for innovation and growth, launching careers to new heights in a variety of disparate industries. Everyone from high-level executives to first-time entrepreneurs can find fresh job opportunities, but attracting so many highly qualified professionals to one place means that competition can be fierce. Can the Atlanta job market keep up with the demand for executive-level jobs? 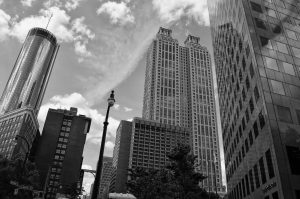 According to a Bureau of Labor Statistics report released in April 2018, Atlanta area employment rose 1.5% year-over-year. The Economic Forecasting Center at Georgia State University projects that metro Atlanta will add 13,000 premium jobs in 2018, a 14,400 decrease in new opportunities from the previous year. That number is expected to decline further in 2019 with only 11,400 new premium job opportunities. Atlanta’s job market peaked in 2015 and, while there is no recession yet in sight, job growth continues to slow. High-level professionals in the manufacturing sector may struggle to find qualified job leads. The financial trade and transportation sectors, however, should see slow, continuous growth over the next two years. Professionals in wholesale trade and technology are primed for even greater job growth as those sectors continue to thrive. Even in a competitive job market, there’s no reason to settle in your career. Want to compete in the executive job market? 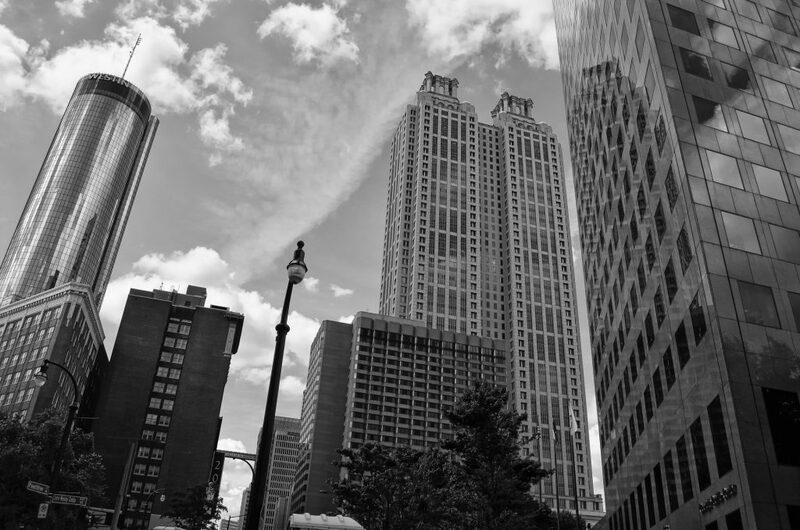 Contact Executive Resumes Atlanta to schedule a no-obligation phone consultation. For business executives, the holiday season provides myriad opportunities for professional growth. From Thankgiving until New Year’s CEOs, COOs, board members, and other corporate leaders will face unique challenges, find fresh career paths, and increase their networking reach. Studies show that job searching during the holiday season gives executives a clear advantage in their industries. Studies also show the benefit of unplugging from work, email, and the executive job search to rejuvenate physically and mentally. Whether you anticipate a productive weekend or four days of refocusing on your personal life, take a few hours this Thursday to give thanks for the blessings in your life. A healthy work/life balance is crucial to personal and professional success. Stepping back to examine our lives objectively allows us to refresh, reprioritize, and re-engage as necessary. This holiday season, give thanks for your career, your family, and the untold possibilities on the horizon. Happy Thanksgiving from Executive Resumes Atlanta! Have you pursued executive level positions that seem tailor made for you, and aced the interviews only to repeatedly lose out to other candidates? Have you begun to suspect the source of the problem may be a former employer providing a less than glowing reference to prospective employers? According to Heidi Allison, President and Managing Director of reference checking firm Allison &Taylor, this situation happens more often than most people realize. Occasionally a job seeker will be tipped off to a questionable or negative reference at some point in his/her search by a Human Resources or hiring manager who provides candid feedback, but more often than not a job seeker is oblivious to the fact that their job search is being thwarted by a past employer. By the time a pattern emerges and the candidate becomes suspicious that a former employer may be the source of the problem, often a great deal of time, effort, and money – not to mention opportunities – have been lost. One solution available to executive candidates who want to find out what past employers are saying about them is to hire a professional reference checking firm. A reference checking firm will confidentially contact your past references and inquire about your performance, employment dates, job description and the reason you left that position. Within days, you will be provided an in-depth look report on the reference, including their response time, general tone of the conversation and specific quotes about your performance. To gain more insight on this issue, Executive Resumes Atlanta shares an account of how one gentleman found out that his boss was spreading falsities about him, and what he did to stop it. The word was out on Jim Walters. Someone was telling prospective employers that they shouldn’t hire him. It cost him at least twelve top job offers, kept him unemployed for over a year, and more than $100,000 of his retirement fund. Walters, not his real name, has since found work, but two years later he is still angry at his former boss for nearly ruining his life. Walters was able to stop his boss from spreading more lies, but he wonders how many other job seekers are not so fortunate. “For months I suspected that my former boss was saying something about me. The problem was I didn’t know what he was saying or how to prove it” said Walters, a former General Manager for a Manufacturing Company. Job seekers can now turn the tables on their former bosses. Many are starting to check up on former bosses, colleagues and even trusted friends, by using professional reference checking firms. Let’s face it. Companies have been checking out potential employees’ backgrounds for years. “When you get right down to it, you just don’t know for sure, who you can trust. There is simply too much at stake – your job, your income, your family’s well being – to chance it that your references are positive and accurate” said Heidi M. Allison, Managing Director of Allison & Taylor, Inc., a professional reference checking firm. 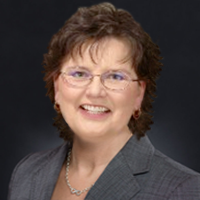 Allison & Taylor, Inc. has been checking reference since 1984 for a variety of clients from nurses and teachers to senior managers and even presidents of companies. Allison & Taylor’s clients also include attorneys, professional recruiters and companies who hire them to check out potential employees. Allison & Taylor, Inc. is up front with the people they call to check a reference. “When we call a reference we simply state that we are calling to do an employment verification and reference check on (name of client). Typically the reference assumes we are considering hiring that individual or we have been hired to check them out for a company that is considering hiring them. No matter what, we never disclosed who has actually hired us to perform the reference check. This allows our client complete confidentiality and the ability to use our information in court should the need arise” stated Ms. Allison. It is not uncommon for references to pass out inaccurate information. Dates and title of employment, the reason for the separation and salary information are typically mistaken and unfortunately it is assumed by potential employers that the job seeker is lying. Sometimes information is subtle. For instance, if a reference doesn’t return two or three calls, that raises a red flag. Innuendoes such as, “Are you sure he listed me as a reference?” or “Well, according to our agreement I can only confirm that she worked here” offer additional clues that things are just not right. The purpose of checking your references should not be to file a lawsuit. However, a candidate does need to know the quality of their references and whether former employers are passing on personal opinions, conjecture, rumors or accurate legal facts. A poor or even lukewarm reference can sometimes cost you the job you want. If you are worried about what a former boss will say to a prospective employer, consider using a reference checking service as seen in the Wall Street Journal. The industry’s leading and oldest reference checking firm, Allison & Taylor, Inc. provides reference checks for job seekers that range from $69 for basic to $99 for executive level reports. In business for 20 years, Allison & Taylor will confidentially contact your references, inquiring about performance – managerial skills, judgment, integrity, productivity, technical skills – as well as employment dates, job description and reason for departure. Within an average of ten days, you will have a complete dossier on your reference, including how long it took for a response, general tone and verbatim quotes. Each year, a number of Atlanta businesses get ranked as one of the best places to work by various local news sources. These businesses get chosen based on a number of factors, and in one of the most popular contests run by the Atlanta Business Chronicle, businesses lucky enough to place on their list are divided into three categories: the top 10 in the large employer category (501 employees or more in the metro area), the top 30 in the medium employer category (101 to 500 employees) and the top 60 in the small employer category (10 to 100 employees). What qualifications do you think make a company a great place to work? Strong leadership? Opportunities for growth? An environment that supports and rewards excellence? Share your thoughts and ideas by leaving a comment below. According to the Atlanta Business Journal, Coca-Cola will be moving its new IT Center to the 60-story SunTrust Plaza. Considered a historic shift as the largest ever corporate relocation into the downtown area, the new facility encompasses a leased area of almost 276,000 square feet in the building’s garden offices. The move will bring 1,000 high-paying jobs into city central and will expand the total downtown headcount to over 6,500 employees, which includes staff at the company’s North Avenue corporate headquarters. The Atlanta Journal-Constitution reported that the company will relocate 2,000 workers in the Coca-Cola Refreshments division to the Peachtree Center area of downtown. The new Information Technology Center of Excellence is expected to open in mid-2014, under a 10 year lease. Three Coca-Cola IT leaders said in a memo the move is part of the ongoing enhancement and consolidation of facilities made possible by the Coca-Cola Co.’s acquisition of Coca-Cola Enterprises’ former North America operations in 2010, as reported by the Marietta Daily Journal. Atlanta is rated in the top 10 (among 100 cities) for the number of STEM jobs, according to a new nationwide study conducted by the Brookings Institution, a nonprofit public research and policy organization based in Washington, DC. STEM, a workforce-education buzzword, is an acronym for science, technology, engineering and math. Atlanta STEM jobs in 2011 totaled 423,220, or almost 20% of all area jobs. According to the Atlanta Business Chronicle, Kraft Foods, the largest food company in the nation and second largest in the world (behind Nestle SA), is targeting Atlanta’s South side as a potential site for a $50 million development. Kraft is looking for a nearly 90 acre site for an up to 1.1 million sq. ft. warehouse and distribution center. One of the sites Kraft has looked at is an 850,000 sq. ft. building in McDonough, as well as a 187-acre property in Henry County. While not yet confirmed, the move could be as far south as Macon. It is estimated that this move would create 200+ new jobs. The Atlanta Business Chronicle reported in its June 12 edition that Georgia may be one of several states competing for a significant biotech development that could be located on more than 100 acres and employ at least 1,000 in metro Atlanta. If The vaccine or pharmaceutical manufacturing operation – as yet unidentified – could be a boon to Georgia’s drive to enhance its biotech credentials. According to a recent Atlanta Journal-Constitution article, Georgia currently falls behind state industry leaders in bio-engineered medicines, fuels and foodstuffs, which include California, Massachusetts and North Carolina. The state is moving to significantly increase its status in the biotech industry, and so has placed the lucrative and competitive life sciences field atop its economic recruitment pyramid. In May, Georgia hosted the world’s largest biotech conference, the 2009 BIO International Convention, which was attended by more than 14,000 industry leaders and convention-goers from 58 countries and 48 states. Although not a state biotech leader – 70 percent of Georgia’ 300 biotech companies generate revenues of $10 million or less – Georgia does boast Big Pharma manufacturers, such as Solvay. Marietta is the U.S. corporate headquarters for the Belgium-based $13 billion chemical and pharmaceutical producer. Additionally, Atlanta is home to the Centers for Disease Control and Prevention (CDC) and Emory Vaccine Center, one of the largest academic vaccine centers in the world. Subscribe to get news & updates!